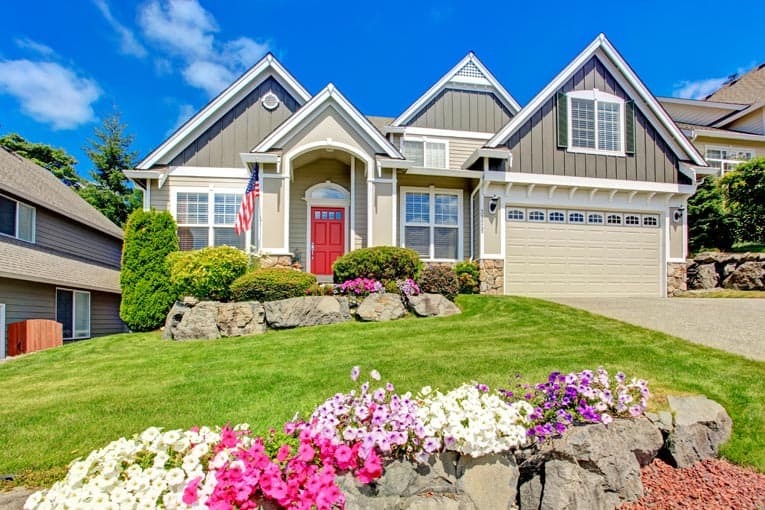 At its best, giving your home curb appeal means creating the characteristics that elicit strong emotional appeal for you, your family, neighbors—and potential buyers when the time comes to sell. Get rid of anything that is an eyesore, including old vehicles, lawn furniture, swing sets, empty planters, unruly garden hoses, dead bushes…you get the idea. If it isn’t attractive or necessary to your lifestyle, give it away, sell it, recycle it or toss it. While you’re at it, find an out-of-sight place to hide garbage and recycling cans. The idea here is to cut loose the clutter. Our articles on Garage Storage and How to Build a Lean-to Shed may help. 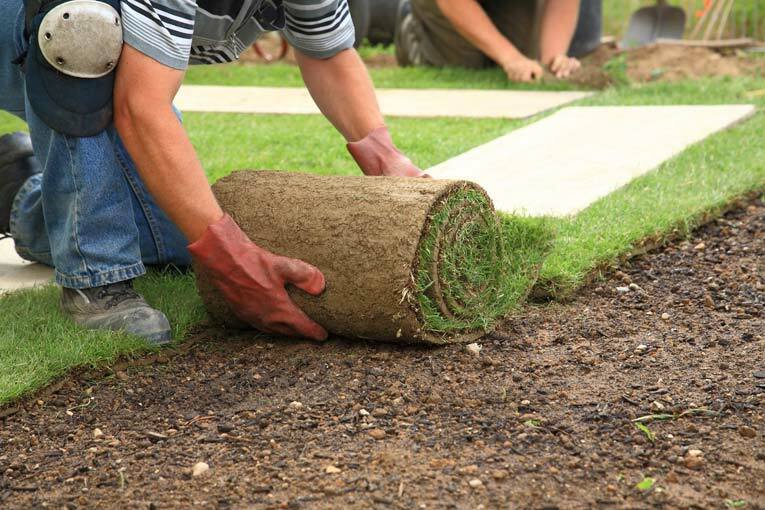 Rolling out a sod lawn is a way to instantly transform the yard. Because lawns are usually a major part of the front yard, the condition of your lawn can dramatically impact curb appeal. If your home has a lawn, mow, rake, edge and manicure it. Pull or kill the weeds. Then keep it well watered and fertilized. If you live in a region where drought is an issue, consider drought-tolerant landscaping, but be advised that it can take a long time and considerable expense to bring this type of landscaping to maturity. 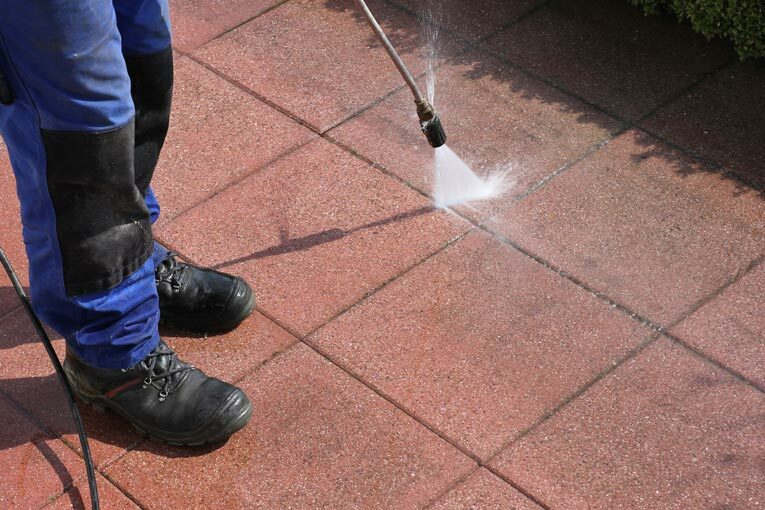 Power wash pathways and driveways to clean and brighten them. First impressions happen as people approach your house. 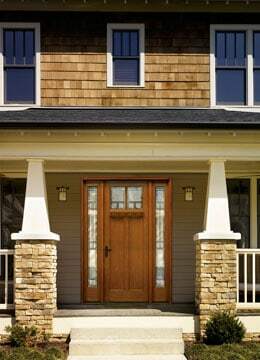 With this in mind, get the walkway, steps, porch and front door in top shape. Pull weeds from the walkway and repair any cracks. Consider edging a plain concrete walkway with bricks or stones. Lighting is important, too. Outdoor lighting makes a house beautiful at night and adds safety and security. Think about installing low-voltage landscape lighting to accent trees, walkways and landscaping. 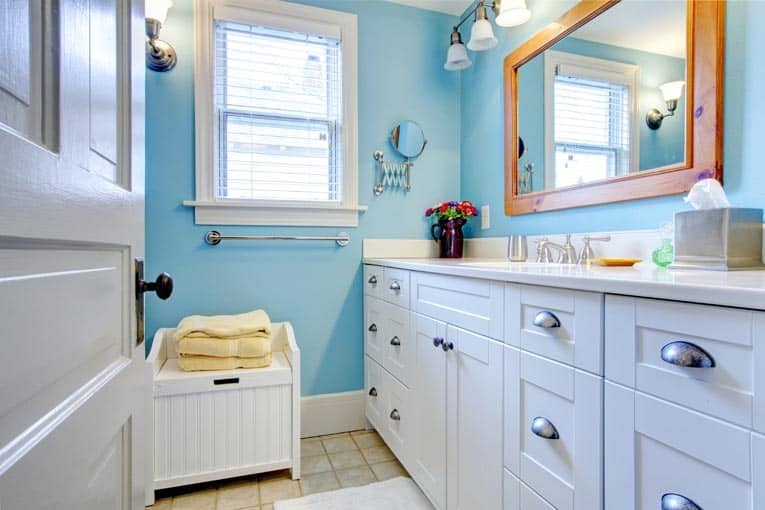 Grand 8-foot-tall door provides a welcoming entrance to this Craftsman-style house. Because every visitor sees your front door, make sure it looks great. Wash or, if necessary, refinish or paint it. If that doesn’t do the trick, consider replacing it with a new one. 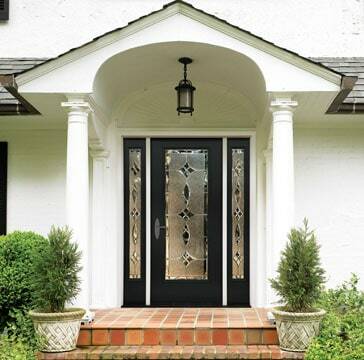 See Front & Entry Doors Buying Guide. The door’s hardware makes a difference, too. Remove tarnished hardware and polish it with metal polish. If it’s in shoddy shape, replace it entirely. A shiny new metal kick plate at the door’s base can add a touch of elegance and hide scuffs and animal scratches. While you’re dealing with the front door, don’t forget to welcome guests with a friendly doormat. Prune flowers and shrubs to get them under control. Trees and bushes can bring a sense of fullness, maturity and majesty to a property. But these wonderful additions to a landscape can become rangy and overgrown, detracting from a property’s beauty. They can overshadow gardens that need sun and block views that you want to accent. 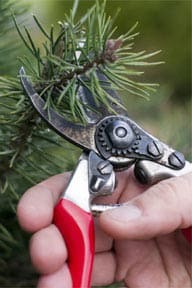 If your trees and bushes are out of control, prune them or have them professionally trimmed. Plant shrubs for year-round garden greenery, and add seasonal flowers for accent color. A house’s foundation is one of its least attractive elements. If your home’s foundation is visible, camouflage it with flowering hydrangeas, azaleas, rhododendrons, knockout roses or large-leafed, flowering plants that have a generous, leafy spread. The best choices for this purpose grow 3 to 4 feet in height and offer a touch of color. Plant them at lease 2 feet from the house. Ask your nursery person for recommendations that will thrive in your region. If you don’t have room for gardens, consider filling pots and containers with colorful flowers. A container garden can add beauty to the entire front area of the house. 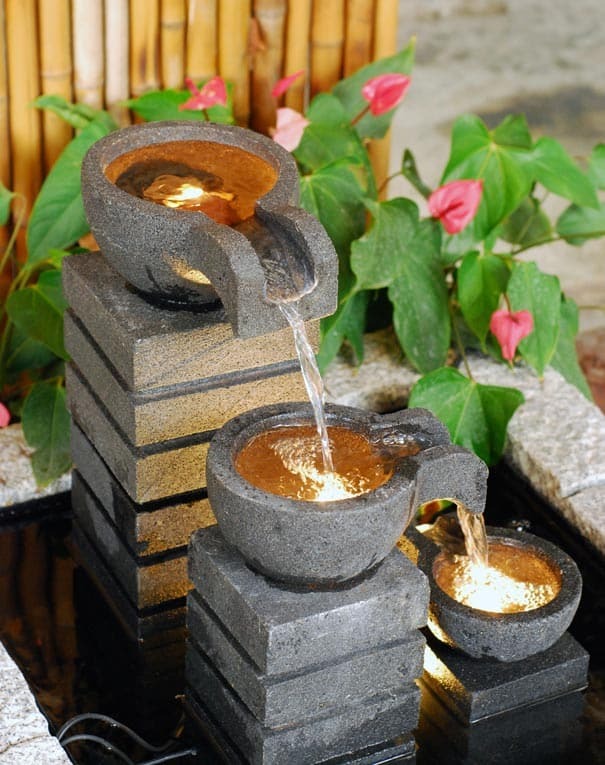 Lighted outdoor fountain offers visual interest and a welcoming sound. You can add a touch of elegance with shiny new house numbers, a stylish front porch light and a brilliant doorknocker. In the garden, consider a water feature, birdbath or garden sculpture. Sweep away dirt and cobwebs, working from the top down. Then use a garden hose or pressure washer to wash the walls. If you don’t have a pressure washer, scrub dirty walls with a long-handled soft-bristle brush and a soapy solution of non-phosphate detergent and water, and then rinse from the top down. 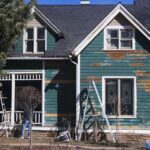 A pressure washer makes washing dirty or mildewed siding an easier job, but be sure you know how to use it if you decide to go this route—the strong spray can peel paint or erode siding. For a two-story house, invest in a telescoping wand so you can work from the ground. Use a low-pressure nozzle to spray-on siding cleaner according to label directions, working from the bottom up. Then, use a high-pressure 20- to 40-degree nozzle to rinse with clear water from the top down. Keep moving and hold the nozzle at least 12 inches from the surface so that the powerful spray doesn’t damage the siding. Don’t spray electrical wires, light fixtures, outlets or windows, and be careful not to drive water up under the siding. For more, see How to Clean Siding. If washing doesn’t do the job, the house may need a new paint job. 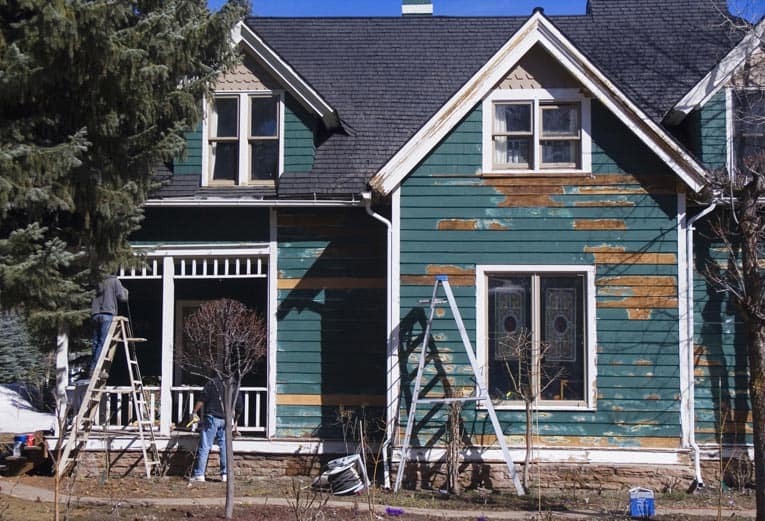 For more about painting your house, see 10 House Painting Rules You Should Never Break. 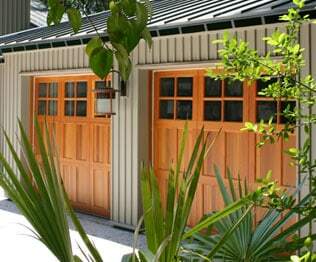 Carriage-style wood garage doors are a beautiful complement to this home. 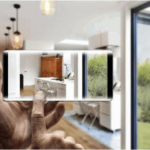 The garage door, usually one of the largest surfaces at the front of a house, can be a visual asset or liability, depending upon its condition. If it isn’t in good shape, refinish or paint the garage door or—if necessary—replace it. A new garage door can really add a sense of style to a home, and there are many handsome new options, from modern translucent doors to traditional carriage-house beauties. See Garage Doors Buying Guide. If you decide to install a new garage door, opt for an automatic door operator—this will help ensure that the door stays closed.